Denim is a go to for me pretty much everyday. I am lucky enough to work in an industry where I can actually wear it to work as well! Because of this I like my denim to be work and play appropriate most of the time. 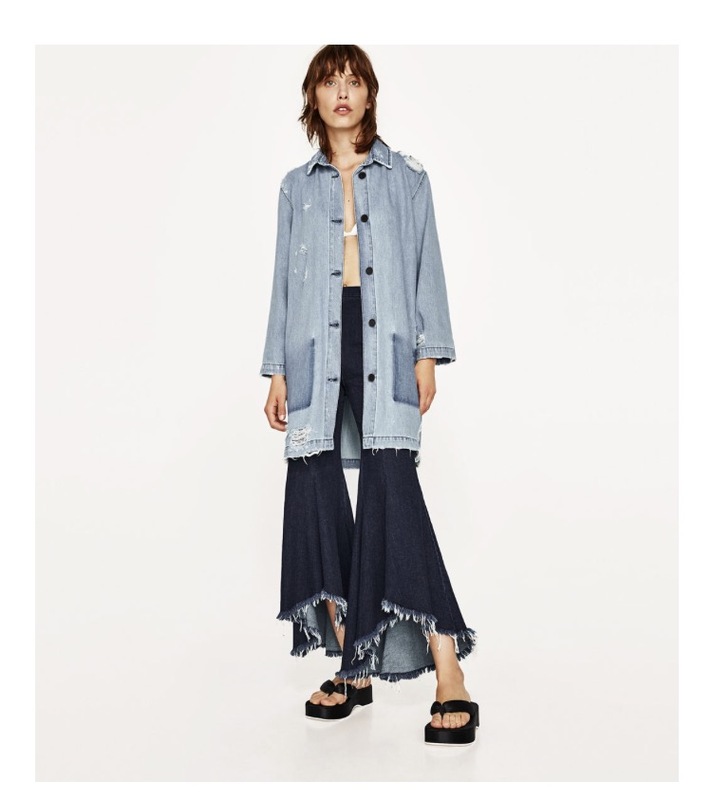 I wore this Zara denim frock coat as a dress for the first time two weeks ago, and I will admit about two times more since then. I honestly didn't realize it was a coat when I bought it! A denim dress is a versatile piece that practically goes with anything. You can dress it up with heels or booties for work. You can pair with a leather jacket and sneakers for a downtown vibe. If you want to switch up the look, layer with a t-shirt or ruffle detailed button-up. You can find the dress I am wearing online and on sale, here . Denim dresses are not my only go-to. I have been really into jumpsuits and ankle length jeans. See below for my recent denim finds around the city at great prices. This Stella McCartney Jumpsuit was found on the clearance racks at Nordstrom Rack, during the last 25% off clearance sale. It retailed at $1145, saw it for $219, then 25% off. This French Connection Marble Denim dress is a nice length. I found it at the sample sale in June for $15 ($148 retail). Levi's are making a big splash as fashionistas and denim lovers gravitate back to the iconic brand. This wedgie style fits almost every body shape. I love the length and the tomboy feel you get wearing it with loafers or brogues. This pair is a great price at $98.00. You can find it on sale at Bloomingdales for 30% off, here. What are your favorite denim pieces or brands?